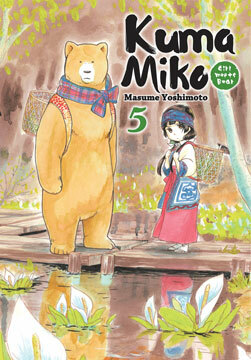 A boy Machi's age arrives from the city, and there's trouble brewing! Meanwhile, a guest from outside the village takes up residence in Kumade for the summer. Right from the start he sees Natsu talking, and Machi is too shy to even talk to him. How will Machi survive her last summer vacation of middle school? Natsu’s childhood friend makes an appearance—and it’s another wild bear! Natsu plays the role of a spirit to bless Yoshio and Hibiki’s relationship! And, Machi faces new trials on her path to the city! The calm of the village is shattered in Volume 6, a time of upheaval! 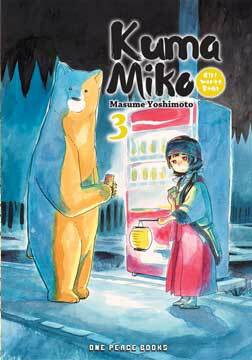 When a detective from outside the village sees Natsu talking, Yoshio quickly explains that the bear is the village mascot. To cover his tracks, Natsu-chan has to come up with a marketing plan for himself. What will happen when he makes his debut on the national stage? On a day just like any other, a corpse washes up in the river that separates Kumade from Tamura Village. The victim was a resident of Tamura, so the detectives, considering the long history of antagonism between the villages, suspect someone from Kumade. 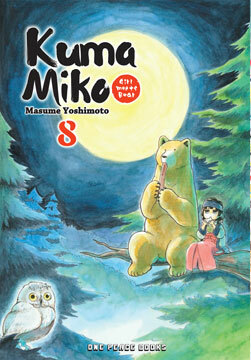 The detectives look around the village for suspicious characters, and soon their hunt leads them straight to Kumade Shrine! While he works at the village hall, Yoshi has a premonition of his fate: To promote tourism to Kumade village! But Kumade only produces bland vegetables, so what is he to do? 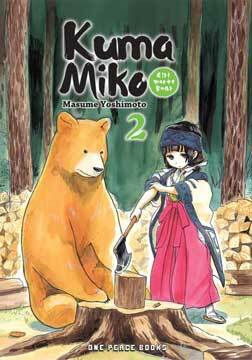 Machi, and even Hibiki, get drawn into his big project in Kuma Miko: Girl Meets Bear Volume 3! 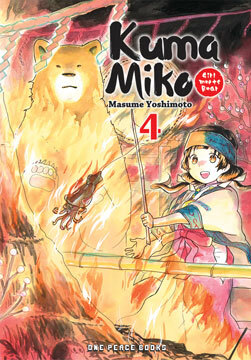 Machi is 14 years old and has spent her whole life in the Touhoku Mountains as a miko. Raised alongside a talking bear, Natsu, she knows nothing of modern life. But, she’s enthralled with its mysteries and determined to figure them out. Natsu attempts to prepare her for the trials and tribulations she will face entering the fast-paced city in this comical coming of age story of a backwoods girl in Japan. 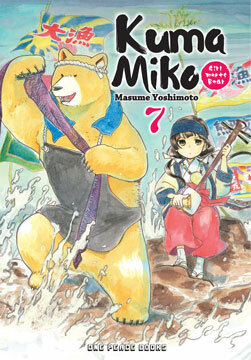 Masume Yoshimoto, originally from Niigata Prefecture, won the 6th Annual Niigata Manga Prize in 2003. Masume also won the Maya Mineo Excellence Award at an early age. 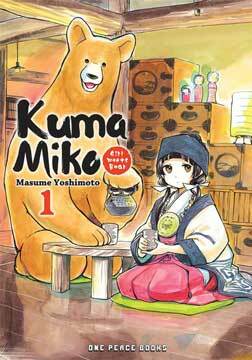 However, in 2013, Masume made a professional debut in Monthly Comic Flapper magazine with Kuma Miko. 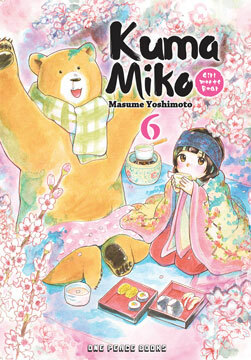 Kuma Miko has since become a massive hit. In 2016, an animated series adaptation was officially announced.